Bring refined elegance to your dining room with the finely crafted base details finished with stunning black that brings out the accents and curves of this dining table by Home Styles Furniture. 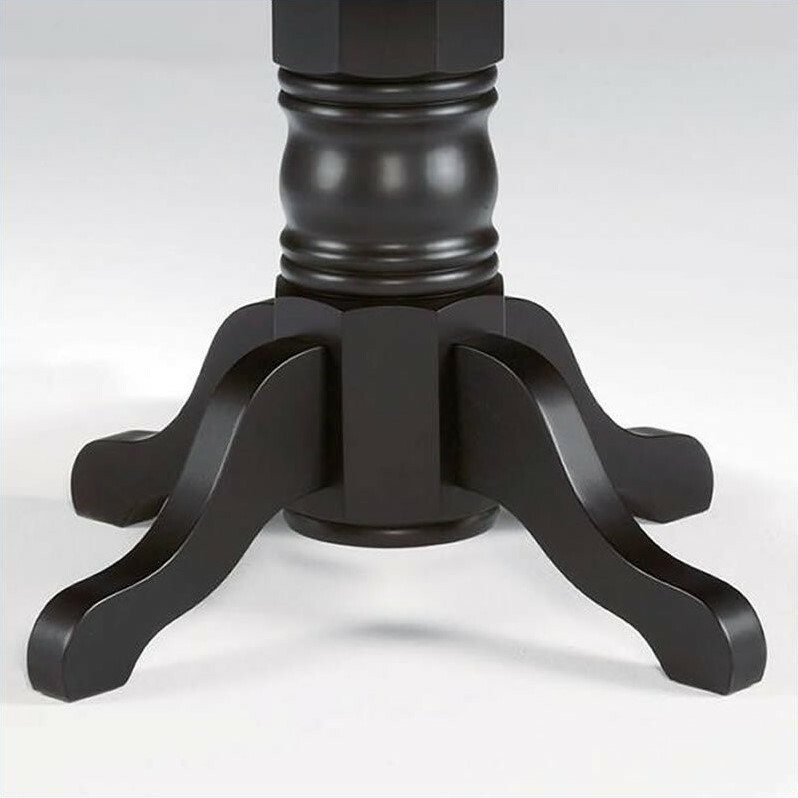 This handsomely designed, Round Pedestal dining table sports suggests a country/cottage style while its rich, bold black finish provides an updated feel. At 42" in diameter, it is especially well suited for smaller rooms. Constructed from sustainable hardwood with a clear coat finish helping to protect against wear from normal use.